The research will be done with as little possible bother to house owners. Kiwa Oesterbaai Maritime & Offshore (part of Kiwa Compliance Netherlands) has started a large-scale asbestos survey on Bonaire until the first week of August. 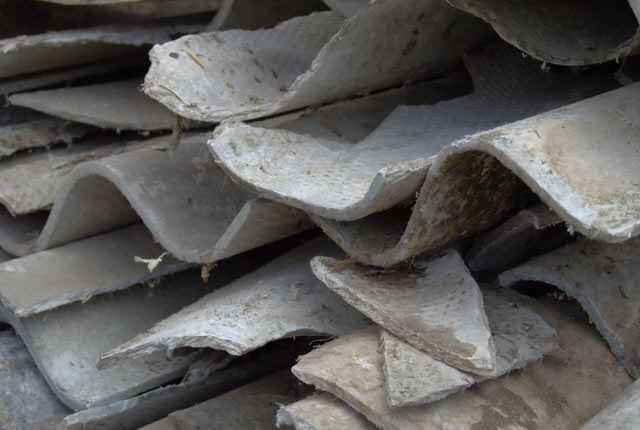 The research focuses on roofs in which asbestos can occur. Kiwa Oesterbaai will approach the work in a systematical way First, available construction data is checked with local construction inspectors. From this, it can be determined how old buildings are and it becomes clear whether the building could contain asbestos-containing material. We also look at the dates of (re-) building permits. “Then we go to the building and do visual research; we look at the height of waves, among other things, to recognize whether the corrugated sheets are of an old date”, says Joris Gribnau of Kiwa Oyster Bay. In case of a suspicion of asbestos, a piece of suspect material is taken away. This sample goes to the Kiwa Inspection & Testing laboratory and is further examined and analyzed there. When asked if asbestos poses a major threat to Bonaire, Joris Gribnau of Kiwa Oyster Bay replies: “The situation is not that bad, the asbestos fibers are in the roofs and are held there by mixing with cement. As long as you do not damage the roofs, the fibers simply remain in the material and do not pose a risk”, according to the asbestos expert. As soon as the research results are known, they are shared with the Public Entity Bonaire.